The world is changing every day so is the way we live and work. If you own a house, office or any commercial space then it is very important to have an efficient and well-designed interior. Interior Design imparts a spirit to space or building and making the space more useful and pleasing to live in. It plays an important role in everyday life introducing people to feel comfort, change, and innovation. Nowadays Interior design is spreading awareness all over the world. Designing good interiors with the help of Interior Contractor Nashik can make your space look great. Professional Designers see things broadly because of their structural studies and work atmosphere. They give attention to every detail. 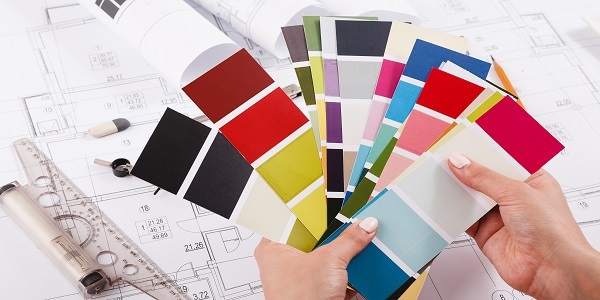 Getting your home/office interiors done according to your liking can be a very difficult task. At the same time, it is not easy to find the ideal contractor, as at times it goes over your budget cost, frequent delays, and a lack of transparency seem to be common. Since there are many interior contractors that offer floor tiles, modular kitchen for home/office building structures. However, there are very few that offer reasonable services. Interior9 is a leading and eminent Interior Contractor Mumbai, which aims in providing a complete array of interior design work solutions. We believe in offering best in the committed time frame worthwhile, economical solutions with our client's satisfaction. How Interior9 works with you? Assembling needs and finalizing - After you are done finalizing your work with Interior Contractor Mumbai - Interior9 with an estimate budget plan with our Interior Contractor Pune team will visit your house to collect all necessary details required for work execution. In that we finalize the layouts, take the measurements, consider other things within our scope and finalize. Once we have finalized your work with us, paying a small amount in advance, we will schedule a visit to your place with our Interior Contractor Pune team to gather all the required documents. During the visit, we discuss the things and conclude your selection plan. Quotation and payment - After finalizing the work, you will get a thorough detail about quotation based on your requirements. Interior Contractor Nashik of Interior9 will give you details about payment as well as timelines of payment and schedule post payment. And then directly the implementation process will take place. After Project starts - Interior9 will give you a material audit report along with the reports of updated work. We will provide you with every detail of the project that is being carried out. This will give you an idea of work completion status. Installation & handing off - Once the last installment of the payment is completed, handover is given along with the final installation of all materials. A detailed bill of all material purchased with warranty cards (if any) is also provided. Economical - It may sound weird that, how hiring an Interior Contractor Mumbai would save your money since you have to pay the additional service fee. Actually, by hiring our services, we can help you to prevent costly blunders that will not only help save your money but can also help in increasing the value of your home or office. Budget is an important thing that is to be taken into consideration for the project. With Interior9 you get the details of the expenses. It is best to make sure that you get all the things in details that will include the worker's fee, the price of materials needed, the design consultation fee, and the price of the custom-made furniture. Hiring an Interior Contractor Nashik - Interior9 is a cheaper option as you are paying the supplier directly. Determine the Area of Work - Our approach towards designing is thoughtful and we give sharp attention to all major and minor details along with quality finishing. We strive at concentrating on every minute details to give you luxurious and sophisticated home and offices. We use finest of materials with the use of latest technologies and the most accurate craftsmanship delivering projects and products to exceed your expectations. Our interior designers have years of versatile field experience, we work closely with you at each and every step to give your house or workplace the finest look it deserves. Provide Solutions - In the beginning phase of construction, it is very usual to find the unanticipated things that might not go according to the plan. We at Interior9 Interior Contractor Mumbai will go through every barrier. We will not just deliver the message that there is problem, but also provide solutions to solve every issue during work. Timeframe and strategy - As a client you definitely expect us to give you a time frame and strategy about project design and implementation. Normally, our projects are all done at once, therefore providing the timeline before starting the project is mandatory for our clients. The timeline also acts as a reference for the project as it is anticipated to be completed on time. At the start of the construction phase, our client should be able to check periodically the progress on the project to stop the circumstance of additional time and cost if any. Expert Evaluation - Interior9 - Interior Contractor Mumbai gives you an expert evaluation of your situation that will lead to a sound plan of action. The numerous things in a design strategy are a key in deciding what can be redirected or can be edited. This will not only affect the budgeting but also helps you to spend your money more effectively. Interior9 offers you a vision trained service to see and notice every single thing that you may not. Broad accessibility of resources - There are things available with Interior9 Interior Contractor Pune that will not be available to the common public in terms of resources, connections, and general goods. By making use of these broad resources interior9 can help you to make a home or office space look more unique, collected, and tugged together. Our services portray a sense of ownership, identity and suitability as per our client's requirement. We at Interior9 maintain the quality of international standards with the use of professional approach. Interior9 Interior Contractor Nashik has experienced team who comprehends the consumer requirements and accordingly undertakes the construction, designing, and finishing of different structures & commercial, corporate, office and residential place. As per the client’s requirements, we emphasize on the quality construction material, the area of the space, and the total budgeting as set out by our clients. We blend elements like elevation in ways and shifts in scale of space, which reinforce the overall design theme.